What paperwork do I need in order to allow my dog to attend your facility? We require the Doggie Daycare Application, Owner’s Liability Waiver and a copy of vaccination records. For the vaccination records, we require Rabies, DHLPPV, and Bordetella (kennel cough). 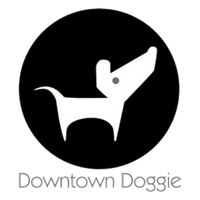 You can download and print the Doggie Daycare Application and Owner’s Liability documents located to the left of this FAQ. You do not need to make a reservation for Doggie Daycare. However, for boarding or bathing we do require reservations. Call us at (317) 979-2665. At what age does my dog need to be spayed or neutered to still be able to participate in daycare? We require all dogs to be spayed or neutered no later than 6 months of age. How old does my puppy need to be in order to participate at your facility? We require that your puppy has received at least two rounds of vaccinations (including Bordetella). What is the difference between Doggie Daycare and Boarding? Doggie Daycare generally means that you’re leaving your dog for a period of time during the day; while your at work, taking a day trip, shopping, etc. You would then pick your dog up by the end of that same day. Dog Boarding simply means that you’re leaving your dog for one or more nights; while on vacation, business trips, etc. Yes. All dogs who attend daycare have full access to the indoor playrooms as well as the outdoor playgrounds. We have outdoor playtimes every day to make sure all the dogs get fresh air and sunshine. What do the dogs do while they are at daycare? At Indy DTD, we like to let doggies spend most of the day interacting with each other, while we supervise the play. They play, run, rest… then play again. We have a large facility, with an even larger outdoor area, so there’s plenty of space for play. When weather permits, we have wading pools out in the yard, and we have plenty of play structures, both in our indoor, and in our outdoor space. What do I need to bring for my dogs overnight stay? We ask that you bring his/her own food so that they will stay consistent on their diet, and any medication that they may have. We do not need bowls for their stay. Why is Indy DTD “closed” from 12pm-3pm? We are still in the building, monitoring the daycare dogs, boarding dogs, grooming dogs, etc. We say that we “closed” due to the fact that there is no one in the lobby area during this time. We feed lunches, let dogs out for potty breaks, walk dogs, etc. This is why we lock the front entrance from 12pm-3pm. What happens during closed business hours on the weekends? We are in the boarding area/yards letting dogs out for potty breaks, cleaning rooms, feeding dogs, medicating certain dogs. Yes, we will gladly administer medications to your dog while they are in our care for no additional charge. All medications must be in the original prescription container so that we will have detailed information about the medication, and you must sign a consent form giving us permission to administer the medication. We do not administer injections. If you need to cancel your reservation it’s as easy as a phone call or email to let us know. There is no penalty as long as we receive a phone call or email 24 hours prior to the reservation. Cancellations with less than 24 hour notice will be charged full fees. What are your hours for pick-up and drop-off? We’re open Monday through Friday 7 a.m. to 12 p.m. and 3 p.m. to 6 p.m.
And Saturday from 9 a.m.to 12 p.m. You can pick up or drop off anytime during these hours. What if I am unable to pick-up my dog at the end of the day (by 6PM) as planned? If you are unable to pick up your dog by 6pm, a suite or loft will be provided to your dog for overnight accommodations and you will be charged the appropriate fee. Yes! We offer tours of our facility every day of the week, no appointment needed. However, we do recommend coming between the hours of 9 a.m. and 12 p.m. or 3 p.m. and 4 p.m. as the early morning and evening hours can be quite busy with arrivals and departures.